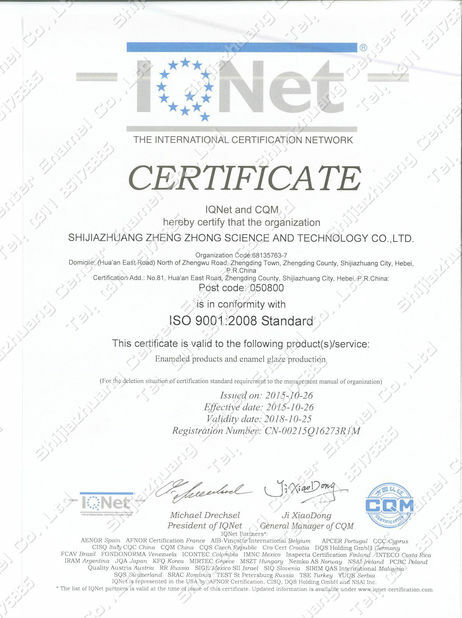 Waste Water Treatment , Sewage Treatment, Effluent Treatment, Ect. Thanks to the modular system, the tanks are easy to assemble and transport. Minimal regular maintenance requirements, Center Enamel’s GFS tank has a smooth and durable interior and exterior surface no needing recoating again in future. 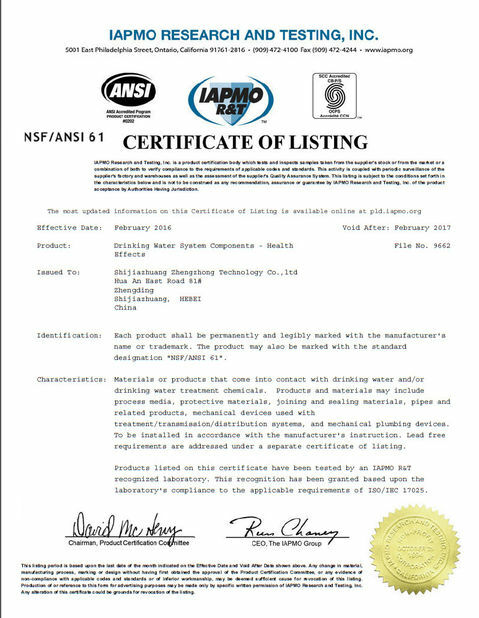 The Material is meet the international standards, like AWWA D103 -09, OSHA, ISO9001 : 2008, And for drinking water storage, we passed the NSF 61 certification. 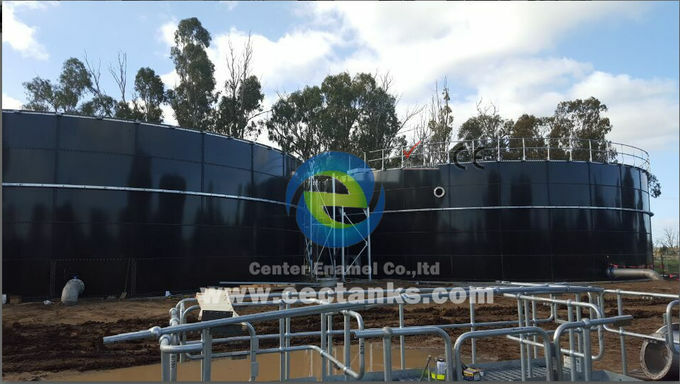 Center Enamel’s glass fused to steel tank has outstanding corrosion resistance. It is suitable for liquid from PH 2 to PH13. And it has strong abrasion / impact resistance makes it could be installed in Tough environment. Center Enamel Inc. own a professional R&D department with more than 30 people, also set up special laboratory and possess independent enamel formula research ability. We have the ability to develop various products which meet customers’ different operating demands. Center Enamel has nearly 30 years in providing glass fused to steel tanks clients from all over the world. Our GFS tanks have been being exported to USA, Australia, Germany, Russia, Asia and well received by new and old clients. 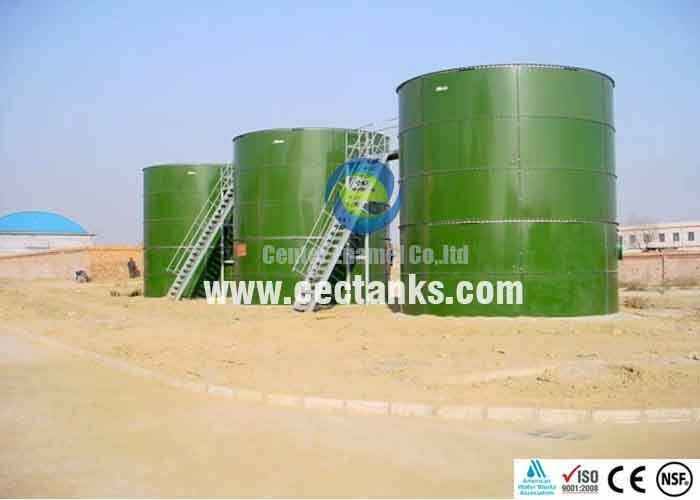 Our GFS tank has been widely used municipal and industrial effluent , sewage , waste water , water treatment as various aerobic and anaerobic reactors of UASB , EGSB , SBR , BAF, USR , CSTR , and equalization tank , sludge holding tank , etc. 1. Easy Construction: All the tank shells of Glass-Fused-To-Steel Tanks are factory coated, can be easily assembled and installed in difficult conditions, to meet the urgency requirement of project, unlike Concrete Tanks will be affected seriously by bad weather and other factors. 2. Corrosion Resistance: Concrete tank would corroded through to reinforcing bar within 5 years of installation, Glass-Fused-To-Steel Tanks with 2 layer of Glass coating, can be applied for PH from 3 to 11, Center Enamel also provide 2 Years Warranty of its Glass-Fused-To-Steel Tanks. 3. Leakage and Maintenance: Concrete is susceptible to cracking so that many Concrete Tanks show signs of visible leaks and require substantial remedial maintenance, Glass-Fused-To-Steel Tanks are an excellent alternative with less maintenance due to the steel strong tension strength.